GOLD Coast stuntman Russel Francis admits he welled up with tears after living to sing another day — tonight, in fact — on reality TV ratings hit The Voice. 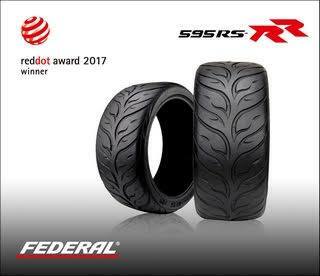 ESSEN, Germany — Federal Tire Corp.' s 595RS-RR ultra-high-performance tire has received Red Dot Award recognition for its design, handling and endurance. Considered to be one of the most prestigious design recognitions, the Red Dot Design Award is an international prize awarded by the Design Zentrum Nordrhein Westfalen of Germany and has been given annually since since 1955. The Bribie Island Warrigals are the southern most team playing in the Sunshine Coast Gympie competition,with Reserve Grade and Under 18's in 2013, as well as collaboration of AGrade - Bribie Island Sea Eagles. 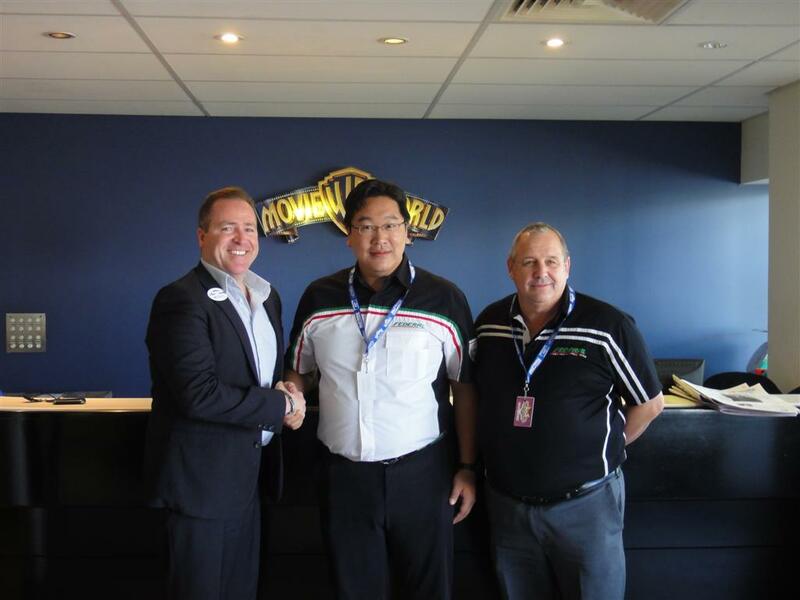 A strategic alliance between Federal Tyre and Warner Bros. proved a remarkable success after an enjoyable meeting of top-level executives in Queensland, Australia. Earlier in August, an unprecedented opportunity has brought global leaders of tyre and entertainment industries together for an invigorating exchange of information, ideas and insights. Jamie Ma, CEO of Federal Corp. and Michael Croaker, Head of Entertainment, also Creative Director at Village Roadshow Theme Parks both had learned a lot about each other by sharing the same value and know-how of successful leadership and business management. The quality of the conversations they had was refreshingly high. Warner Bros Movie World at the Gold Coast Australia is perfect holiday destination for families with a cross-section of ages. The highlight of the show is based on the filming of an action movie which features a lot of drifting and chasing scenes, and its Italian village theme gives the park a glitz and glamour buzz that takes audiences on a car-flying adventure across the rooftops of buildings. They can hear the screaming brakes, smell the burnt rubber and see how it all comes about. All of the precision driving stunts are performed by real life professional stunt drivers known as the Hell Drivers on a real-live movie set over breathtaking stunts. It was very thrilling and amazing. 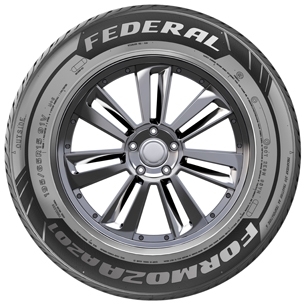 This international crossover collaboration allowed Federal to further expand its geographic footprint in Australia as the extreme stunt show contains a variety of excitement by running on Federal brand tyres. Jamie Ma was impressed with the quality live entertainment production. Meantime, he admired Croaker's passion, enthusiasm, and hard work behind the scenes in one of Australia's most exciting industries to conceive ideas of demonstrating such a diverse and unique series of large scale show in-park. Among Hollywood Stunt Drivers team is Warren Luff, an established racing star, twice crowned Mitsubishi Mirage Series winner, and secured 4 titles wins of V8 Ute Australian Champion in 1999, 2000, 2002 and 2003 respectively. 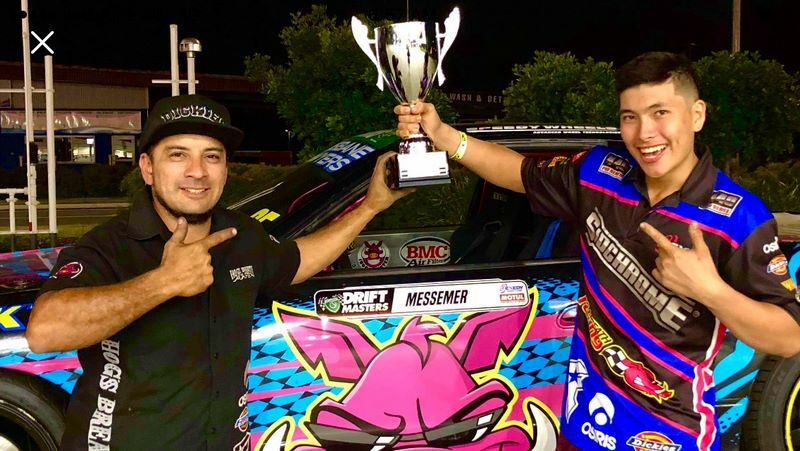 He is the son of the world renowned driver training instructor Ian Luff, and best known as a race driver, stunt driver and driver training instructor. 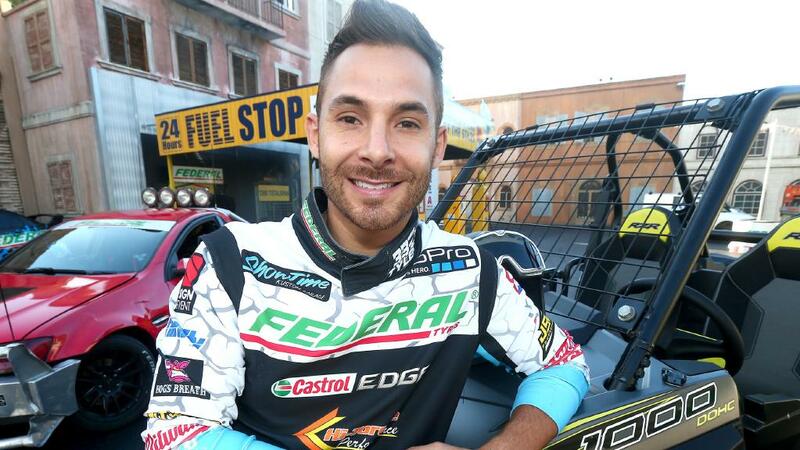 Luff has most recently worked as a stunt driver at Movie World on Gold Coast, and served as the Driving Standards Observer for the V8 Utes Series. 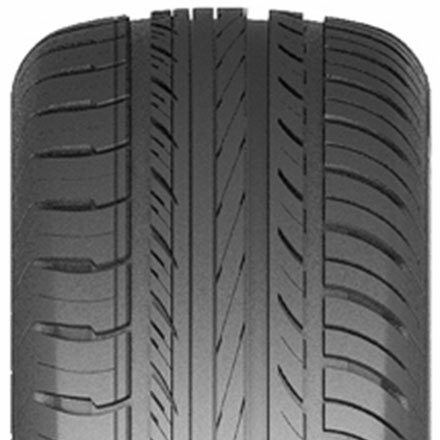 Taiwan's Federal Tyre has announced that its latest Couragia F/X asymmetrical tyre for high performance LSUV vehicles will officially be offered at Neta Tyre Service & Sales at the beginning of May 2011. Neta has been a family-owned and operated business in Queensland for over 40 years. Henry Lin, director of Federal's Global Sales Division said, We are proud to have the Couragia F/X sold in Neta stores. 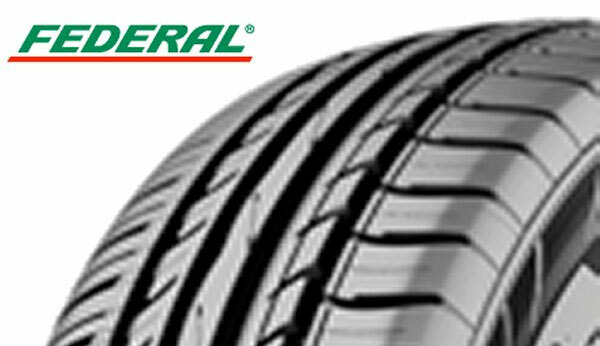 Federal strives to develop new tyres within the top-end of the touring category by continuing to drive quality and product improvements through the manufacturing and administrative processes. For the weekend of 8-10th April, Neta Tires held a stand at the BRISBANE Camping and 4x4 Show. The centre piece of the stand, being a Toyota Hilux, with a blown 350chev, and huge lift. Fitted with Federal 35x12.50R15 Couragia Mud Terrain, and Gecko White 15x10" Steel Wheels. With many products on display, customers were getting a hands on with tires, being able to see tires and wheels up close, as well as talk to our sales staff for technical information, and even watch dvd's of the products in use on and off road. 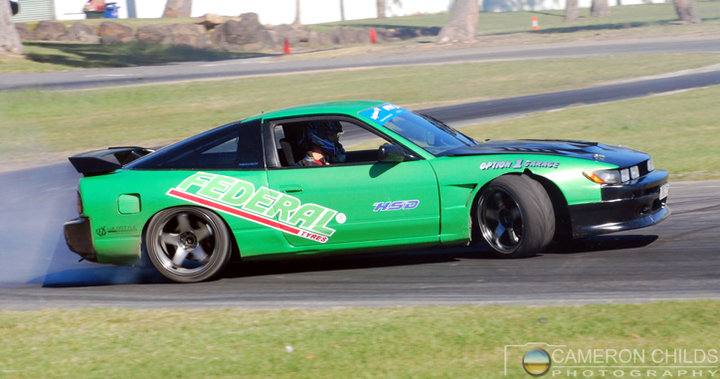 Federal Tyres SiL80 drift car.